Ipswich Girlsâ&#x20AC;&#x2122; Grammar Snapshot About Us: We are an independent, non-denominational, all-girls boarding and day school in Ipswich, south-east Queensland that has been offering outstanding secondary education for more than 126 years. We are highly regarded for our academic excellence and strong school spirit. We share a campus with the coeducational Ipswich Junior Grammar School which caters for boys and girls from Kindergarten to Year 6. Campus: Our heritage-listed campus is located in the city of Ipswich, around a 30-minute drive from Brisbane, and overlooks the beautiful Bremer River. We are on the corner of Queen Victoria Parade and Chermside Road, East Ipswich. Students: In 2019, there are approximately 460 students in Years 7 to 12, and an additional 350 in our co-educational Junior School. Houses: Our Houses underpin our pastoral care program and are named after our first five headmistresses: Armitage, Connell, Carter, Hunt and White. IGGS Values: Diligence, Excellence, Respect, Integrity and Care. Personalised Education: Our expert staff are committed to providing each girl with a personalised, holistic education through quality teaching delivered within engaging learning environments. Each girl has a Personal Education Plan and meets one-on-one with senior staff at least twice each year to evaluate academic progress, along with involvement in sport, the Arts, community service and personal and social development. Technology for Learning: IGGS girls are equipped with the digital skills to see them flourish as 21st century learners. Integrated e-learning opportunities are enhanced through our 1:1 laptop program, well-equipped computer laboratories, iPads and classroom interactive screens. Co-curricular: More than 50 activities offered across sports, academic, service and cultural pursuits. Private tuition is available in music (various instruments), swimming and tennis. Facilities: Health Centre staffed by a registered nurse; Young Womens Health & Wellbeing Centre; Katherine C Carter Theatre; Secondary School Library; Canteen and Dining Room; on-site boarding facility Cribb House; RobotIGGS and E-STEAM Workshop; Graphics Studio with 3D printer; Fitness Centre and Human Movements Laboratory; indoor cycling room; Athletics Oval with 400-metre running track; five-lane, 25-metre heated, outdoor swimming pool; Marion Walker Sports Complex (Gymnasium), Mervyn S. Patterson Assembly Hall; Netball, Tennis and Volleyball courts; outdoor amphitheatre; Science laboratories; Visual and Performing Arts Precinct and private music tuition rooms. Transport: Private chartered bus service from surrounding suburbs shared with Ipswich Junior Grammar School and Ipswich Grammar School. Academic Achievement: Academic excellence is a focus of Ipswich Girlsâ&#x20AC;&#x2122; Grammar School and our academic results and tertiary entrance outcomes consistently place us among the top performing academic schools in Queensland. English, Mathematics, Science, Humanities and Health & Physical Education are studied for a full year. All students study semester subjects including Drama, Dance, Design & Technologies (Food & Textiles), Design & Technologies (Materials), Digital Technologies, Music and Visual Art. A language is also studied, with a choice of German or Japanese. Learning support is available for students with particular needs. Core classes in English, Mathematics, Science, History and Health & Physical Education, plus two electives per semester (eight in total across Years 9 and 10). Electives: Accounting & Economics, Big Ideas, Design, Design & Technologies (Food & Nutrition) , Design & Technologies (Food & Textiles), Digital Innovation, Digital Technologies, Drama, Geography, German, Health, Japanese, Legal Studies, Music, Psychology, Support in English as a Second Language, and Visual Art. Electives are studied in composite classes as part of an enriched curriculum, designed to meet the interests and capacities of each student. Students must study either English or Essential English and either General Mathematics, Mathematical Methods or Essential Mathematics, alongside four electives. Electives available* include: Accounting, Ancient History, Biology, Chemistry, Design, Drama, Economics, Food & Nutrition, Geography, German, Health, Japanese, Modern History, Music, Physical Education, Physics, Psychology, Specialist Mathematics, Support in English as a Second Language, and Visual Art. Applied subjects include: Certificate II in Hospitality, Early Childhood Studies, and Sport & Recreation. *Elective offerings may be subject to a minimum level of interest among the cohort. Students must study either English or English for ESL Learners, and either Mathematics A or Mathematics B, alongside four electives. Electives: Accounting, Ancient History, Biology, Chemistry, External Chinese (for students whose first spoken language is Chinese), Drama, Geography, German, Graphics, Health Education, Japanese, Mathematics C, Modern History, Music, Music Extension, Physical Education, Physics, Support in English as a Second Language, and Visual Art. Every student from Years 7 to 12 participates in the Life Skills program, which is tailored to the needs of adolescent girls and designed to enhance your daughterâ&#x20AC;&#x2122;s resilience and provide her with tools to approach her social and emotional life in a positive and proactive manner. Curriculum offerings are correct as of February 2019 and subject to change. Academic Achievement Academic excellence is a focus of Ipswich Girls’ Grammar School and our academic results and tertiary entrance outcomes place us among the top performing schools in Queensland. Each year the School has a consistently high percentage of OP-eligible students, reflecting our vision to inspire young girls to become confident, well-educated young women. 2018 Academic Results At the heart of the success of every Year 12 student is the collaborative support and strong communication lines between the students, their parents, teachers and support staff. This important and long-term partnership is foundational to individual success. The 2018 Seniors obtained commendable outcomes, with 81% of students choosing to be OP-eligible. The results achieved by our OP-eligible students in 2018 show that Ipswich Girls’ Grammar School continues to be one of Queensland’s top performing schools, with results above state average. Two students successfully completed university subjects whilst in Year 12, 14 Seniors completed vocational studies at the Diploma level and eight students achieved a Certificate III in Early Childhood Education and Care. University Pathways 100% of the School’s 2018 Seniors (domestic) who applied for a tertiary institution place, via the Queensland Tertiary Admissions Centre (QTAC), received an offer. Eighty-four per cent received their first or second preference. Popular university course preferences for our 2018 graduating cohort included: Health (Medicine, Nursing, Pharmacy, Exercise Science and Nutrition, Speech Pathology, etc); Society and Culture (Law, Economics, Psychology, etc); Creative Arts (Music, Design, etc); Architecture and Building; and, Engineering. Co-curricular Activities At Ipswich Girls’ Grammar School, we actively encourage our girls to engage in all aspects of a holistic education. Girls who participate in co-curricular activities generally achieve higher academic results, enjoy stronger relationships with their school peers and are more likely to lead a healthy lifestyle. Our extensive co-curricular program offerings provide IGGS girls with plenty of opportunities to discover their talents and abilities outside the classroom. We offer more than 50 sporting, cultural, intellectual, performing arts and community service activities — both team and individual, competitive and non-competitive — to meet the diverse interests of our vibrant school community. These activities teach our girls to compete, make new friends, develop school spirit and value the ideals of good sportsmanship. Many of our co-curricular activities are offered at no extra cost. Private tutelage and coaching may incur additional expense. The School also runs late buses, departing at 4.45pm, for students involved in after-school activities. Our sports activities promote health and fitness and instil a sense of school pride, sportsmanship and team spirit. Through our co-curricular sports program, IGGS girls have been selected for district, state and international sporting events. Professional coaches and staff coach training and skill development. As a proud member of the Queensland Girls Secondary Schools Sports Association (QGSSSA), IGGS students have access to Queensland’s premier inter-school sporting competition for young women. Ipswich Girls’ Grammar School is a strong contender in academic competitions at local, state and national levels, with students able to access many opportunities to extend their intellectual pursuits beyond the boundaries of the classroom. •	Chemistry •	Debating •	Duke of Edinburgh Awards •	Literacy Competitions •	Maths Challenge Group •	Public Speaking •	RobotIGGS & Coding •	E  -STEAM (Entrepreneurship, Science, Technology, Engineering, Arts and Mathematics) Workshops. Girls selected to represent the School in QGSSSA competitions have all training, insurance, registration and transport included in their school fees. •	C  ombined School Musical with brother school Ipswich Grammar. IGGS students actively serve the community through various year-level projects that may include 40 Hour Famine (World Vision), Dahdi, Footprints in the Park, Eco-Warriors, Red Shield Appeal and RSPCA. Boarding at IGGS For families that need flexibility and convenience, we offer casual, temporary, weekly and full-time on-site boarding for girls from Years 5 to 12. As a boarder, your daughter will be safe, comfortable, well-supervised and academically and socially supported. deck with BBQ facilities, fire pit and a lush green lawn overlooking the city of Ipswich. Our girls eat healthy meals planned by our nutritionist and made fresh in our Dining Hall each day. Security is paramount and as such the House is fitted with a monitored electronic alarm system. Our House Reception Staff require all boarders and visitors to sign in and out of the House so we know where our girls are at all times. All leave and travel arrangements are closely monitored. Your daughter’s health and wellbeing are paramount, and our dedicated teachers, counsellors, nutritionist, registered nurse and experienced boarding supervisors and staff are all on hand to take good care of her. Boarding will foster your daughter’s independence and personal growth under the watchful eye of our boarding staff. From the moment she joins us she will become part of a special, inclusive community where she will make lifelong friends and memories she will fondly recount for years to come. Weekly boarders leave school at 3.00pm on Friday and return on Sunday evening or Monday morning. Weekly boarders must be in School uniform when departing on Friday afternoon by public transport. Weekly boarders who return on Monday morning after 7.30am must wear School uniform. With permission from the Principal or Head of Boarding, weekly boarders can stay in Cribb House for one or more weekends – fees apply. We understand that modern families need flexibility and convenience and offer a variety of after school care and overnight boarding options through our Grammar Plus program. reach on their pillow during this time, to allow supervisors to move freely between the rooms and provide academic support. Girls who do not wish to continue to study after 8.30pm must remain quiet so that the girls choosing to study are not disturbed. Girls who return to Cribb House after 6.30pm in the evenings from sporting commitments are able to eat their dinner in the ground floor Common Room. They are then to make their way to the allocated study area to start their Prep. Girls returning from Weekend Leave on Sunday evening are asked to arrive prior to 6.30pm or after 8.00pm so as not to cause disruption to other students in Prep. Mobile phones are to be used in accordance with Cribb House Phone Policy and School Policy. We recognise the monitored use of mobile phones as a positive means of communication with family and friends. Boarders are permitted to have ONE mobile phone and ONE sim card only. Use of mobiles phones in the boarding house is restricted to certain times. For more information about Cribb House and boarding please refer to the Boarders Handbook, available upon request. Security deposit is refundable on exit. Conditions apply. Overseas Student Health Cover (for approximately 15 months) Early payment discounts apply. See below for details. NOTE: There are two semesters per school year. * Figures are rounded, and GST included on food components. A discount of $120 per semester on both tuition and boarding fees will apply if payment is received by 4.00pm one week prior to the due date. Early payment discount dates are outlined above. Tuition Fees are set by the School Board annually. All fees tuition and non-tuition are subject to review. Payment can be made by cheque, cash or EFTPOS. For other payment methods, refer to the Fees Statement. Credit card payments made via Parent Lounge are free of surcharge. Credit card surcharge applies for all other credit card payments.  xcess printing and photocopying charges (i.e. over E and above the allocations of $20 per year for Prep to Year 3, $60 per year for Years 4 to 12, except Graphics students at $100 per year). Please contact the Business Services Office in relation to sibling discounts on +61 (07) 3454 4434.  rivate lessons for singing, music, speech & drama, P tennis (invoiced directly by tutor). Expenditure incurred by boarders such as personal items, telephone, medical, travel and some excursion expenses will be charged to boarders’ accounts or by agreement with parents, pre-charged and pre-paid. A recreation levy per semester of $50 applies. Allowance should be made for external agencies’ processing time. Where accounts are referred to a Collection Agency, the Agency costs will be added to the amount outstanding. Where accounts are not paid by the due date, a late payment administration fee of $240 per semester will be charged. Payment of all fees by the due date is a condition of continued attendance at the School and the provision of education services. Failure to pay fees as and when due may lead to the withdrawal of education services and the removal of the student from the School. The School also reserves the right to withhold student report cards and/or statements of reference if accounts remain overdue at the end of the term/semester. Where fees are not paid by the due date, payment arrangements are available, however, such payments can only be made by direct bank debit authority. No other payment arrangements are acceptable. For more information, please refer to the School’s Fee Payment Policy, available on the website. A voluntary building fund contribution of $400 is included on each semester’s fees account. These contributions are tax deductible and all families are encouraged to participate. The School pays the premium for student insurance through AON Australia. The current brochure is available on request. It details items covered by the policy. Enrolled students are covered for the year. All applications for entry into the School incur a $110 (including GST) application fee which covers processing costs. This fee is non-refundable and does not guarantee a place in the School. Acceptance of the offer of a place in the School must be accompanied by a confirmation fee: $500 for girls in Prep to Year 12, and $250 for boys in Prep to Year 6. The confirmation fee is non-refundable. *In cases of Student visa refusal, the confirmation fee will be considered in any refund calculation. See the International Student Refund Policy on our website. Written notice of withdrawal is required by 31 October 2019 otherwise one half-term’s fees will be payable for 2020 up to 31 December 2019. When notice is given after 1 January 2020 for students not returning, one full term’s tuition fees will be payable. These fees have been ratified by the Board of Trustees at a meeting dated 30 October 2018. School fees are set by the Board of Trustees annually with any changes being notified to parent(s)/guardian(s) in advance. Information on the level of school fees can be obtained from the Enrolments Registrar or the Accounts staff. Fee statements are issued for all Year levels each semester. There are two (2) semesters per year. Tuition and boarding fees are charged and payable in advance. Other charges, e.g. : bus fares, are listed separately on the fee statement for the preceding semester in which they were incurred. At the end of Semester 2 an invoice for that semesters extras/incidentals will issue. NOTE: Some charges will attract GST. All fees are due by the first day of the semester. Where fees are not paid by due date, payments arrangements are available, however such payments can only be by direct bank debit authority. No other payment arrangements are acceptable. An early payment discount of $120 applies on Tuition Fees and Boarding Fees provided there is no outstanding account balance. Early payment discount date is seven days before due date (refer fees notice). If you have a second child enrolled concurrently at the School, you are eligible for a 5% discount on the second child’s tuition fees, credited to your account each term.  or your third and subsequent children concurrently F enrolled at the School, you are eligible for a 10% discount on each subsequent child’s tuition fees, credited to your account each term. If you are also paying fees for sons enrolled concurrently at Ipswich Grammar School (IGS), the School will allow a further 3.5% discount. You will need to advise us in advance to ensure the discount applies. NOTE: IGS also pays a corresponding Brother – Sister Discount for boys and girls concurrently enrolled at IGGS/IJGS. Please check with IGS to establish what additional savings you are eligible for on your son’s IGS fees. Sibling discounts are conditional upon all fees being paid by their due date. No discount will be applied to any fees paid after their due date. School office hours are: Monday to Friday 8.00am – 4.00pm (excluding public holidays). Accounts Office Telephone: +61 (07) 3454 4416. Edstart allows parents to spread out the school fee costs, either over 12 months or up to five years after graduation, lowering your monthly repayments. You can find out more about Edstart by visiting their website at www.edstart.com.au. The Board of Trustees has determined that the School will not educate students whose fees are unpaid, except where requests for special arrangements for payment have been made in writing and accepted by the Board of Trustees. Payment of all fees by the due date is a condition of continued attendance at the School and the provision of education services. Failure to pay fees as and when due may lead to the withdrawal of education services and the removal of the student from the School. The continued provision of education services for any period during which fees remain outstanding is not a waiver of this term by the School. The School also reserves the right to withhold student report cards and/or statements of reference if accounts remain overdue at the end of the term/semester. Appropriate recovery action will commence immediately after the due date for fees has passed. Any additional costs incurred by the School to recover overdue fees will be added to the balance of the account in default. Arrangements for Deferred Payments In special circumstances the Board of Trustees will consider written requests from parents who cannot meet the due date for the payment of school fees. Each request will be treated on its merits. The Board of Trustees expects that any arrangements entered into for the deferred payment of fees will result in the fees being fully paid prior to the end of the term to which they apply. Deferred payment arrangements are entirely at the discretion of the Board and may include: •	Instalment payments – weekly/fortnightly/monthly; •	Deferral for a period of time. A written request by the parent(s)/guardian(s) can be made in writing to the Secretary to the Board of Trustees. The request must contain your reasons, including full financial details, for the request to be considered. Each request received will be tabled and considered at the next scheduled meeting of the Board. The Board’s decision will be notified to the parent(s)/ guardian(s) in writing. It is required that any approved alternative payment arrangements will be by direct bank debit authority (Westpac Payway) and will be strictly adhered to. These arrangements will be withdrawn immediately upon any default in the terms agreed and recovery action on the outstanding debt will commence. Any additional costs incurred by the School to recover overdue fees and interest will be added to the balance of the account in default. Parent(s)/guardian(s) must inform the school if there is a change in their relationship with each other subsequent to signing the application form (e.g. divorce or separation). Under these circumstances, the Board of Trustees may require a new enrolment form be completed by the person(s) assuming the obligation of paying the school fees. The Board of Trustees will only consider an application to waive the period of notice where extenuating circumstances apply. Any request for waiver of fees is to be made in writing addressed to the Principal stating the reasons for the request. Each request received will be tabled and considered at the next scheduled meeting of the Board. The Board’s decision will be notified to the parent(s)/ guardian(s) in writing. If a student of the School is excluded from the School, either permanently or for a period of time, no rebate of fees is made. Any expenses incurred, must be borne by the Parents. learning environment. Where possible, consequences will have a clear educative value in order to bring about a change in behaviour. Our Student Code of Conduct provides all members of our community a common accountability framework which governs all school based relationships. The underlying purpose of the Code of Conduct is to outline for students and staff their rights to work in a positive, secure and orderly environment and the right of parents to expect that their children will be educated in a purposeful environment in which the principles of care, courtesy and respect for the rights of others are valued.  ommunicate effectively behavioural concerns C and management with senior staff. To be free to express their own opinions. providing leadership opportunities for girls.  o keep the school environment safe, clean T and pleasant. Partnerships with family and community. It is through positive and respectful relationships that students participate in planned, engaging lessons in well-managed classrooms. Within this environment, teaching, learning and student wellbeing flourish. Consistent implementation by all staff of the School’s Behaviour Management Plan (Glasser). 4. Call for value judgement 5. Suggest suitable alternatives 6. Invoke reasonable consequences 8. Carry out continual review. Positive Psychology is the scientific study of the strengths and virtues that enable individuals and communities to thrive. This field is founded on the belief that people want to lead meaningful and fulfilling lives, to cultivate what is best within themselves, and to enhance their experiences of love, work and play. Positive Psychology has three central concerns: positive emotions, positive individual traits, and positive institutions. Understanding positive emotions entails the study of contentment with the past, happiness in the present, and hope for the future. Understanding positive individual traits consists of the study of strengths and virtues, such as the capacity for love and work, courage, compassion, resilience, creativity, curiosity, integrity, self-knowledge, moderation, self-control, and wisdom. Understanding positive institutions entails the study of the strengths that foster better communities, such as justice, responsibility, civility, parenting, nurturance, work ethic, leadership, teamwork, purpose, and tolerance. Implicit in the Dimensions of Learning framework, are five basic assumptions: 1. Instruction must reflect the best of what we know about how learning occurs. 2. Learning involves a complex system of interactive processes that include various types of thinking – represented by the five dimensions: •	Attitudes and Perceptions •	Acquire and Integrate Knowledge •	Extend and Refine Knowledge •	Use Knowledge Meaningfully •	Habits of Mind 3. Curriculum programs should include the explicit teaching of attitudes, perceptions and mental habits that facilitate learning. 4. A comprehensive approach to instruction includes both teacher directed and student directed instruction. 5. Assessment should focus on students’ use of knowledge and complex reasoning processes rather than on their recall of information. In general, effective behaviour management strategies employed by staff at IGGS will enable the development and maintenance of positive interpersonal relationships and provide students with a fair and consistent approach to consequences when behaviours contravene the right of teachers to teach and students to learn without disruption. Consequences outlined in the Behaviour Management Plan will escalate depending on the nature and severity of the misbehaviour. Behaviour management measures will move through the following four phases: Preventive measures – it is expected that teachers at IGGS prepare lessons that are well thought out and engaging with attention to curriculum and adherence to DOL principles. In doing this, there will be fewer reasons for students to be off task, bored or not engaged. Supportive measures – when students reveal signs of disconnection in either the relationship with their teacher or the curriculum, a plan should be put into place to monitor and support those students and rebuild the relationship. Corrective measures – when unacceptable behaviour interferes with classroom dynamics and the teaching and learning process, consistent consequences will be employed by the teacher. Adaptive measures – when students fail to respond to the staged approach to consequences that have been applied consistently and fairly, various agreements between the school and parents/student will be employed in which set conditions have to be adhered to. If failure to adhere to these provisions occur, the student may be excluded from the school community for a period of time or permanently. Parent Code of Conduct A school community contains a wide variety of individuals and groups who strive to work together to educate students to become confident, well-educated young women, girls and boys and prepared to lead happy, successful lives and make contributions to local and global communities. Shared community values enable the members of the community to work together and enjoy the fellowship that arises from their collaborative efforts. Diligence Staying focused until the job is done. Excellence Striving to achieve the highest standards possible. Respect Acknowledging the worth of every person and what matters to each one. Integrity Consistently demonstrating high moral and ethical standards. Care Attending with kindness, compassion and sensitivity to the needs of others. Ipswich Girls’ Grammar School and Ipswich Junior Grammar School staff and students work to a Code of Conduct. This document aims to provide similar guidelines for parents. Specifically, this Code of Conduct is intended to: 1. P  rovide a set of general principles to guide parents in their interaction with staff, students and other parents; 2. C  ommunicate the School’s expectation as to how parents conduct themselves when on the School grounds or at School events; and 3. Explain how parents can direct their concerns. This policy applies to all adults including parents, guardians, step-parents, grandparents, extended family, caregivers and any others while involved in activities or communication related to Ipswich Girls’ Grammar School including Ipswich Junior Grammar School. For the purpose of this policy, the term “parent” refers to all caregivers as listed above. Parents play a key role in the education of their children and should act in the best interests of students, their families, staff and the School community. The School values its diverse community and respects the rights, beliefs and practices of individuals and their families. Refraining from engaging in malicious or judgmental gossip (either directly or online), and ensuring that anything they say about others is fair and truthful. Refraining from actions and behaviour that constitutes bullying, harassment, discrimination or vilification. Refraining from offensive, insulting or derogatory language or conduct. This includes wearing clothing with offensive language or insignia. Dressing appropriately according to the occasion. Not possessing alcohol on School grounds, unless the event has been sanctioned by the School. Not attending School events if affected by alcohol or any other intoxicant. Showing proper care and regard for School property, the property of others and Occupational Health and Safety considerations. Parents are expected to interact civilly with staff, students and other parents at all times. Written and spoken communication should be courteous and respectful. Abusive language, raising your voice, insulting or violent behaviour to anyone on School grounds or at any School-related event, is not appropriate. Parents are expected to ensure that relationships with students are strictly in accordance with appropriate roles and that favouritism and special treatment are avoided. Parents are expected to ensure that physical contact with students is appropriate given the age of, and relationship with the student such that questions of impropriety do not arise. Whilst interaction between students can be unruly it is not appropriate to discipline another parent’s child whilst on school grounds, unless there is a reasonable health and safety concern. Physical contact should be avoided unless there is a reasonable health and safety concern. In some circumstances parents are required by law to advise the School of areas of potential conflict, such as parenting and family court orders. The School expects parents to behave lawfully on School grounds and observe the terms of any order, obligation or undertaking they may be subject to. Email addresses of parents, staff and students should not be given to other people without their express consent. Parents are not permitted to make contact with other students via any form of social media without the express consent of the student’s parents. The School takes seriously any issues that are brought to its attention. If parents express their concerns to the School, they can expect to be treated with courtesy and respect in order to try and resolve the matter. Request that the parent cease their inappropriate communication in order to allow the communication to proceed. Inform the parent that unless the inappropriate communication ceases, the staff member may put an end to the phone call, meeting or discussion. As a general guide, minor issues may be raised with your child’s teacher or Head of House. Cases of more serious inappropriate conduct or misconduct ought to be directed to the Head of Junior School or Principal & CEO. Request another staff member be present for the remainder of the meeting, if deemed necessary to proceed with such. The School will act in accordance with its Complaints Resolution Policy when dealing with complaints. Lodge a complaint against the offending parent. Social media can be defined as how we use technology to communicate and connect with others. Despite the range of positive uses for social media, there are also a number of ethical and legal issues associated with its use. Many people may hold the mistaken belief that anything published online will be without legal consequence. However, parents should be aware that there are a number of potential legal liabilities that may arise, particularly in relation to issues pertaining to reputational damage, and defamation. Each situation will be considered as it arises and based on the issues. The School may ban a parent from entry to School grounds or from attending co-curricular activities or other events. The School may direct that a parent may only communicate with members of staff through a nominated School representative. The School, its staff and members of its community should not be mentioned or discussed in a negative or defamatory way. In cases of extreme or prolonged breach of this Code of Conduct by a parent, the School may terminate the enrolment of the child of that parent. Photographs of students in School uniform represent the School and its students, and should not be posted if they have the potential to bring negative connotations towards the School or its staff and students. The School may, where appropriate, involve other authorities. The School may take other such steps as it deems appropriate according to the nature of the breach. Photographs containing other students should not be posted without the express consent of the other child/children’s parents. 1. Every individual has value in a community. 2. Every individual has the right to feel safe from bullying or harassment in all its forms. 3. Every conflict can be resolved. Victims and bullies both need help to solve conflict. 4. Every individual in a community is responsible for the safety of other individuals in that community. 5. Every individual in a community is responsible for ensuring that other individuals in that community can reach their potential in a supportive and non-threatening environment. Scope This policy applies to employees, volunteers, parents/ carers/students, and people visiting the School site. Point of Contact Deputy Principal, Dean of Students, Head of Junior School, Deputy Head of Junior School, Heads of House, Middle School Coordinator and School Counsellor and Head of Boarding. Definitions “Bullying is repeated oppression, psychological or physical, of a less powerful person by a more powerful person and occurs when someone, or a group of people, upset or create a risk to another person’s health and safety, or their property, reputation or social acceptance.” Bullying involves a desire to hurt + hurtful action + a power imbalance + (typically) repetition + an unjust use of power + evident enjoyment by the aggressor and a sense of being oppressed on the part of the victim.  utual conflict where there is an argument M or disagreement between students but not an imbalance of power. Both parties are upset and usually both want a resolution to the problem. However, unresolved mutual conflict sometimes develops into a bullying situation with one person becoming targeted repeatedly for ‘retaliation’ in a one-sided way.  ocial rejection or dislike – It is not feasible S to think that every student must like every other student. Refusing to play with a particular child or, for example, not inviting them to a birthday party is not bullying, provided social rejection is not directed towards someone specific and involves deliberate and repeated attempts to cause distress, exclude or create dislike by others. There are three broad categories of bullying.  irect physical bullying e.g. hitting, tripping, and D pushing or damaging property.  irect verbal bullying e.g. name calling, insults, D homophobic or racist remarks, verbal abuse. Indirect bullying - This form of bullying is harder to recognise and often carried out behind the bullied student’s back. It is designed to harm someone’s social reputation and/or cause humiliation.  ingle-episode acts of nastiness or meanness, S or random acts of aggression or intimidation. A single episode of nastiness, physical aggression, verbal abuse or an occasional push or shove is not bullying, neither is nastiness or physical aggression directed towards many different students. The difference it that bullying is, by definition, action that happens on more than one occasion. However, since schools have a duty of care to provide a student with a safe and supportive school environment, single episodes of nastiness or physical aggression should not be ignored or condoned. Ensure they do not model bullying behaviour in interactions they have with the School staff and administration. The Internet, mobile phones and other communication technologies have resulted in a new form of bullying, commonly called cyber-bullying. This involves the use of information and communication technologies to support deliberate, repeated and hostile behaviour by an individual or group to hurt others. Cyber-bullying may include the sending of nasty emails or text messages by one person to another. It may also include defamatory personal Web sites where one person establishes a website which includes unkind comments and photographs about another person.  atch for early signs of distress in students. W This could be evident in any aspect of school life.  nsure they are familiar with the School’s E anti-bullying policy.  here bullying is observed, intervene immediately W to stop the bullying.  ffer the victim immediate support and help and O outline what will now happen.  ducate all students with regard to their E responsibilities as bystanders to a bullying incident.  nsure they do not model bullying behaviour in E interactions they have with students, parents or other staff members.  urtful messages can be communicated to H a very wide audience, around the world, with remarkable speed.  eport all incidents of bullying to a trusted senior R student who must pass this on to a member of staff, teacher or Year level coordinator or other staff member.  ctively support students they know are A being bullied.  efuse to become involved in bullying, including R as a bystander. For younger children parents might consider the use of filters, labels and safe zones so they can restrict the sites their child can access or the materials they can receive (see the office of the safety commissioner site for advice about filters and other ways to restrict access to dangerous materials). For younger and junior secondary school student’s, parents should consider keeping the computer in a public area of the house, such as the family room, so they can see what sites are being accessed and the type of messages their child is receiving. Watch for signs of distress in their child, such as, unwillingness to attend school, a pattern of headaches or stomach aches, equipment that has gone missing, request for extra pocket money, damaged clothing or bruising. Early contact is essential at this point. Take an active interest in their child’s social life. Report to school staff if they know, or think, their child is being bullied. Keep a written record if the bullying persists: Who, What, Where and When? Advise their child to tell a trusted teacher. Tell their child that there is nothing wrong with them. NOT encourage their child to hit back or respond verbally. -- never arrange to meet someone they have met online. is difficult for schools to control. In most cases, however, cyber-bullying should be treated similarly to other forms educate students about cyber-bullying and the dangers online and talk about inappropriate online behaviour in the context of the School’s values policy. Ipswich Girls’ Grammar School including Ipswich Junior Grammar School collects personal and sensitive information for the primary purpose of providing quality educational services to its students. All information collected by the School is treated as confidential and is stored in secure locations. ensuring that the School continues to be a quality learning environment in which students and staff thrive. Personal information held by the School may be disclosed to an organisation that assists in the School’s fundraising, for example the Old Girls Association, the Parents and Friends Association, the School’s Community Relations Office. Parents, staff, contractors and other members of the wider School community may from time to time receive fundraising information. School publications, like newsletters and magazines, which include personal information, may be used for marketing purposes. •	People providing administrative and financial services to the School; •	R  ecipients of School publications, such as newsletters and magazines; •	The individual’s Parents; •	A  nyone you authorise the School to disclose information to; and •	A  nyone to whom we are required to disclose information by law, including child protection laws. Sending information overseas: The School may disclose personal information about an individual to overseas recipients, for instance, to facilitate a school exchange. However, the School will not send personal information about an individual outside Australia without: •	O  btaining the consent of the individual (in some cases the consent will be implied); or •	O  therwise complying with the Australian Privacy Principles or other applicable privacy legislation. 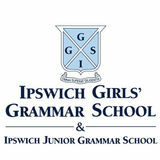 Ipswich Girls’ Grammar may use online or ‘cloud’ service providers to store personal information and to provide services to Ipswich Girls’ Grammar that involve the use of personal information, such as services relating to email, instant messaging and education and assessment applications. Some limited personal information may also be provided to these service providers to enable them to authenticate users that access their services. This personal information may be stored in the ‘cloud’ which means that it may reside on a cloud service provider’s server which may be situated outside Australia. An example of such a cloud service provider is Microsoft 365. Microsoft provides the ‘Microsoft Office 365 Suite for Education’ (Microsoft, stores and processes limited personal information for this purpose). School personnel and the AIS and its service providers may have the ability to access, monitor, use or disclose emails, communications (e.g. instant messaging), documents and associated administrative data for the purposes of administering Microsoft and ensuring its proper use. The data centres where the personal information is likely to be kept are located in Australia. Sensitive information means information relating to a person’s racial or ethnic origin, political opinions, religion, trade union or other professional or trade association membership, philosophical beliefs, sexual orientation or practices or criminal record, that is also personal information, health information and biometric information about an individual. Sensitive information will be used and disclosed only for the purpose for which it was provided or a directly related secondary purpose, unless you agree otherwise, or the use or disclosure of sensitive information is allowed by law. The School’s staff are required to respect the confidentiality of students’ and Parents’ personal information and the privacy of individuals. The School has in place steps to protect the personal information it holds from misuse, interference and loss, unauthorised access, modification or disclosure by use of various methods including locked storage of paper records and password access rights to computerised records. The information is lost in circumstances where: -- Unauthorised access to, or unauthorised disclosure of, the information is likely to occur -- Assuming unauthorised access to, or unauthorised disclosure of, the information was to occur, a reasonable person would conclude that it would be likely to result in serious harm to the affected individuals. there is no serious harm to affected individuals, and as a result of the remedial action, a reasonable person would conclude the breach is not likely to results in serious harm. The School endeavours to ensure that the personal information it holds is accurate, complete and up-to-date. Under the Privacy Act, an individual has the right to obtain access to any personal information which the School holds about them and to advise the School of any perceived inaccuracy. There are some exceptions to this right set out in the Act. Students will generally be able to access and update their personal information through their Parents, but older students may seek access and correction themselves. A person may seek to access or update their personal information by contacting the School at any time. To make a request to access or update any personal information that the School holds about you or your child, please contact the Principal in writing. Parents may update some personal information relevant to themselves or their child through the secure parent portal, Parent Lounge. The School may require you to verify your identity and specify what information you require. The School may charge a fee to cover the cost of verifying your application and locating, retrieving, reviewing and copying any material requested. If the information sought is extensive, the School will advise the likely cost in advance. If we cannot provide you with access to that information, we will provide you with written notice explaining the reasons for refusal. to the use of their personal information, independently of their Parents. This would normally be done only when the maturity of the student and/or the student’s personal circumstances so warranted. Generally, the School will refer any requests for consent and notices in relation to the personal information of a student to the student’s Parents. The School will treat consent given by Parents as consent given on behalf of the student, and notice to Parents will act as notice given to the student. The School respects every Parent’s right to make decisions concerning their child’s education. If you would like further information about the way the School manages the personal information it holds, or wish to make a complaint that you believe that the School has breached the Australian Privacy Principles, please contact the Principal. The School will investigate any complaint and will notify you of a decision in relation to your complaint as soon as is practicable after it has been made. Standard Collection Notice (For Parents and Guardians) 1. Ipswich Girls’ Grammar School including Ipswich Junior Grammar School collects personal information, including sensitive information about students and parents or guardians before and during the course of a student’s enrolment at the School. This may be in writing or in the course of conversations. The primary purpose of collecting this information is to enable the School to provide schooling to the student enrolled at the School, exercise its duty of care, engage in marketing/ fundraising and perform necessary associated administrative activities, which will enable students to take part in all the activities of the School. 2. Some of the information we collect is to satisfy the School’s legal obligations, particularly to enable the School to discharge its duty of care. -- providers of learning and assessment tools; -- assessment and educational authorities, including the Australian Curriculum, Assessment and Reporting Authority (ACARA) and NAPLAN Test Administration Authorities (who will disclose it to the entity that manages the online platform for NAPLAN); -- people providing administrative and financial service to the Schools; -- anyone you authorise the School to disclose information to; and -- anyone to whom the School is required or authorised by law, including child protection laws, to disclose the information. 6. Personal information collected from students is regularly disclosed to their parents or guardians. Phone 07 3454 4447 www.girlsgrammar.com.au Please sign in at reception when arriving and adhere to the signed speed limit 10 at all times. Apply online at www.girlsgrammar.com.au/enrol or alternatively, complete the hard-copy application form located at the back of this booklet and return to the Enrolments office. A non-refundable $110 application fee will be payable to allow for processing of your application. You will need to provide the necessary supporting documents as outlined in the application form, including birth certificate, NAPLAN results, Report Cards, proof of English Language proficiency and any court or specialist orders. Your daughterâ&#x20AC;&#x2122;s application will be reviewed by the Registrar and if the School is able to accommodate her, your family will be invited for an enrolment interview with a member of the Schoolâ&#x20AC;&#x2122;s Executive. Interviews are generally conducted six to 18 months prior to her commencing. Immediate mid-term entry may be possible if vacancies in that Year Level exist. Your daughter will be offered a place if her application and interview are successful. If your daughter is offered a place you will be asked to confirm her acceptance in writing and to pay a non-refundable confirmation fee of $500. It is a condition of enrolment that all orientation and medical forms are completed and received by the Enrolments Registrar prior to commencement. We also encourage your daughter to attend any relevant orientation sessions/days she may be invited to, if possible. Please do so by contacting our Enrolments team at enrolment@girlsgrammar.com.au or by phoning +61 (07) 3454 4401. Prior to enrolment it is important you inform the School if your daughter has any specific additional needs such as medical, physical, learning (including giftedness) or social/emotional, which require specialised and professional attention (above and beyond the level of individual attention already offered to students of Ipswich Girls’ Grammar School). It is the parent’s responsibility to advise the School of any changes to their contact details or family circumstances as provided on the enrolment application form in a timely manner. Prior to commencing at Ipswich Girls’ Grammar School, students will be placed in one of five House groups: Armitage, Carter, Connell, Hunt or White. Please note any family connection your child has to either Ipswich Girls’ or Junior Grammar School on your enrolment application form so that we may maintain family connections throughout House groups where possible. Applicants whose first language is other than Standard Australian English (SAE) will be required to undertake an English proficiency test. The purpose of such assessment is to further explore whether the applicant’s English language skills are appropriate for their nominated year level of entry and whether the level of support required fits within the level of staffing and resources the School is able to provide. Applicants with identified educational needs are accepted into the School on a case-by-case basis. The needs of the child are considered alongside current levels of staffing, expertise and resources within the School. Parents must fully inform the School of any special needs of the student and the School reserves the right to determine its ability to meet those needs, including requesting further information relevant to those needs. Where relevant information relating to the student’s special needs is not disclosed, the School reserves the right to terminate the student’s enrolment. Grammar Girl for a Day Our special preview day invites your daughter to be our VIP guest for a school day to experience our vibrant and inclusive School community. To book, please call our Enrolments Registrar on +61 (07) 3454 4401 or email enrolment@girlsgrammar.com.au for further details. Has the student ever been expelled, suspended or asked not to return to any school? Is there a current Agent’s agreement with IGGS? Student Needs Profile Consideration will be given to the ability of the School to meet the needs of the child. Parents must fully inform the School of any special needs of the child and the School reserves the right to determine its ability to meet those needs. Where relevant information relating to the child’s learning needs is not disclosed, the School will have the right to terminate this enrolment. Has your child ever had any of the following disabilities / difficulties? If yes, please tick appropriate boxes below. Have all reports (academic / specialist) been provided to the School? Does your child have any social difficulties with other children? If yes, please provide brief details __________________________________________________________________________________________ _____________________________________________________________________________________________________________________ Has behaviour management ever been an issue with your child in a school setting? Was your child born in Australia? Does your child speak only English at home? Does the child’s mother / legal guardian speak only English at home? Does the child’s father / legal guardian speak only English at home? What is the highest year of primary or secondary school the parents/guardians have completed? (For persons who have not attended school, mark, year 9 or equivalent or below). What is the level of the highest qualification the parents/guardians have completed? OSHC is arranged with Medibank Private and is approximately $500 per year. Visa length cover will be included in the offer letter invoice. Students under the age of 18 are required to maintain adequate welfare and accommodation requirements as a condition of their student visa. Where a student under the age of 18 is not in the care of a parent or suitable relative, as defined by the Department of Immigration, their accommodation arrangements must be approved by the School and the Principal is the student’s nominated Guardian. If a student’s Australian Guardian is not to be the Principal of Ipswich Girls’ Grammar School, please complete Australian residential address details and all related questions in ‘Student Visa and Passport Details’ section of this form. This applies to Day Students and Boarding Students. Student English Language Details Have you studied English at school? Have you undertaken an AEAS, IELTS or other approved English language test Are you applying to study English language in Australia? Applications are assessed on the basis of academic records and English language proficiency. Students applying for Years 7 to 11, who do not meet English language requirements for direct entry to IGGS will be required to undertake an Intensive English course at UIL or other provider. understand we will be required to agree to the School’s Conditions of Entry of Enrolment, if our child is subsequently offered a place at the school and we accept have declared all relevant information in relation to our child and understand that failure to disclose any condition relevant to the School’s ability to educate her may result in cancellation of the enrolment have read the Fee Schedule, Fee Payment Policy, Refund policy, available in the Pre-Enrolment Information for Overseas Students Handbook at: https://iggs.qld.edu.au/enrol/international-enrolments/ and we understand and agree to accept them in full in relation to the enrolment of our child have read the Code of Conduct for Students, also available in the Pre-Enrolment Information for Overseas Students Handbook at: https://iggs.qld.edu.au/enrol/international-enrolments/ and accept them in full in relation to the enrolment of our child and agree to co-operate with the school authorities in all matters of school discipline understand that receipt of this Application by the School does not constitute admission or guarantee a place for our child. Ipswich Girls’ Grammar School including Ipswich Junior Grammar School will consider enrolment applications from students wishing to apply for a Student Visa, subject to compliance with minimum requirements and conditions set by the School, and with legislative requirements of the State of Queensland and the Commonwealth of Australia, including any requirements to undertake extra tuition to learn English to meet the English language proficiency standard needed to enter mainstream classes. Where the above documents are not in English, certified translations in English are required, with necessary costs to be met by the applicant. An application for enrolment can only be processed when all of the above are in the hands of the Admissions Officer. Applications from overseas students are processed according to established policy and procedures, and are dealt with on their merits. Pre-Enrolment Information for Overseas Students Handbook: • Student Grievances • School Complaints and Appeals • School Deferment & Cancellation • Student Code of Conduct • Bullying and Harassment • School Uniforms • Tertiary (University) Entrance. Senior executive/manager/department head in industry, commerce, media or other large organisation. Drivers, mobile plant, production/processing machinery and other machinery operators. Ipswich Girls' Grammar School International Admissions Information.